One of the best ways to celebrate fall is to head out to an orchard with the kids for a day of apple-picking fun. Read our tips for making your apple picking day trip a success! Go online to find a local orchard that’s open for picking. Give them a call and find out what type of apples are ready to pick and if they have any dwarf trees that kids can reach without a ladder. At the orchard, ask the farmer how to tell if the apples are ripe (this varies depending on the variety). Then, set out to the orchard with a basket. Inspect each apple for signs of bugs or bruises. To pick, place your hand on the apple and twist at the stem. When you get home, don’t rinse your apples. Leave them in the cool, dark place and they’ll last several weeks. To eat or bake your apples, just rinse them and follow the recipe directions. Happy Autumn! 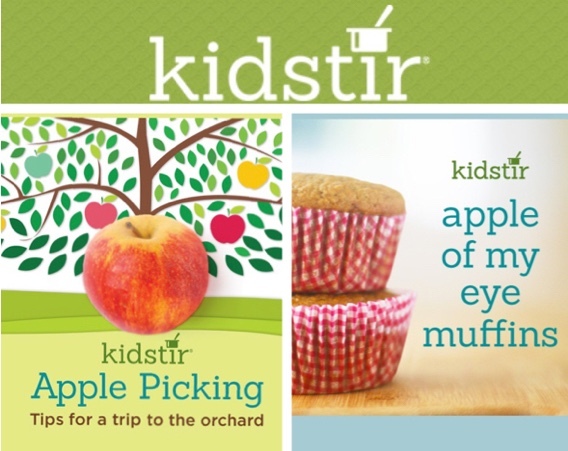 Looking for a fun after school baking activity? 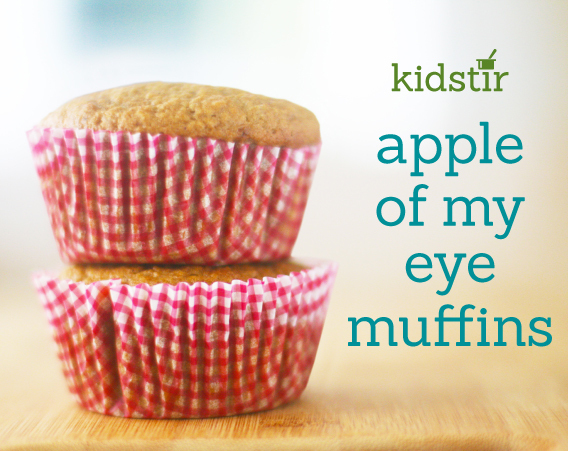 Mix applesauce into our cinnamon muffin recipe. These baked goodies are perfect for school day breakfasts, lunches, or snacks. It’s just 15 minutes hands on time to bake! Kitchen skills learned include measuring, stirring and baking, using these ingredients: flour, baking powder, baking soda, salt, cinnamon, eggs, tablespoons butter, brown sugar, applesauce and a grated carrot or zucchini. Don’t miss out! 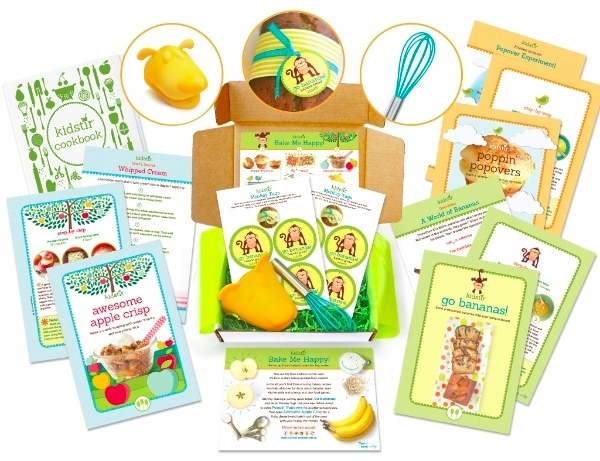 Last chance for the Bake Me Happy kit! Take out the flour, turn on the oven and get baking. Want to know more about this kids baking kit? We’ve got all the awesome details, right here. Once you read all about the best recipes, tools, and activities, you’ll be as giddy with excitement as we are. Then use code BAKELOVE to get $5 off the first kit of a new subscription!